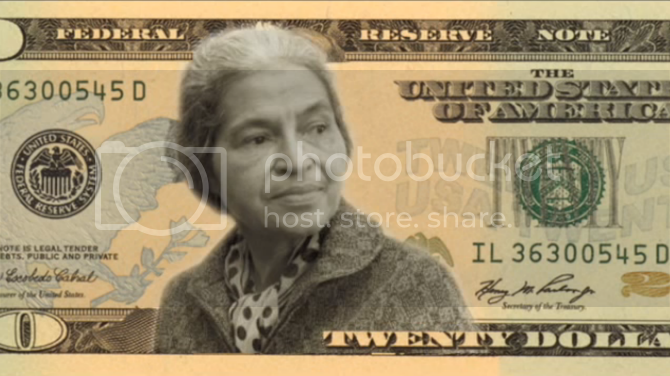 Women on 20s is pushing to replace Andrew Jackson on the $20 bill with a woman, and online voting from the pool of more-than-worthy candidates has narrowed down the field to four women. The final cut of Eleanor Roosevelt, Harriet Tubman, Rosa Parks and Mankiller were selected by more than 250,000 voters from a field of 15 famous American women. "We believe this simple, symbolic and long-overdue change could be an important stepping stone for other initiatives promoting gender equality," the group says on its website. "Our money does say something about us, about what we value." The group, which also goes by W20, is lobbying to put one of these women on the $20 bill by 2020, the 100th anniversary off the ratification of the 19th amendment, which granted women the right to vote. There are still no women on U.S. paper currency and W20 is petitioning the president and Congress to change that. Roosevelt, Tubman and Parks emerged at the top of the balloting. Mankiller, a Cherokee Chief who received the Medal of Freedom in 1998, was added to have a Native American woman in the running. Mankiller died in 2010.